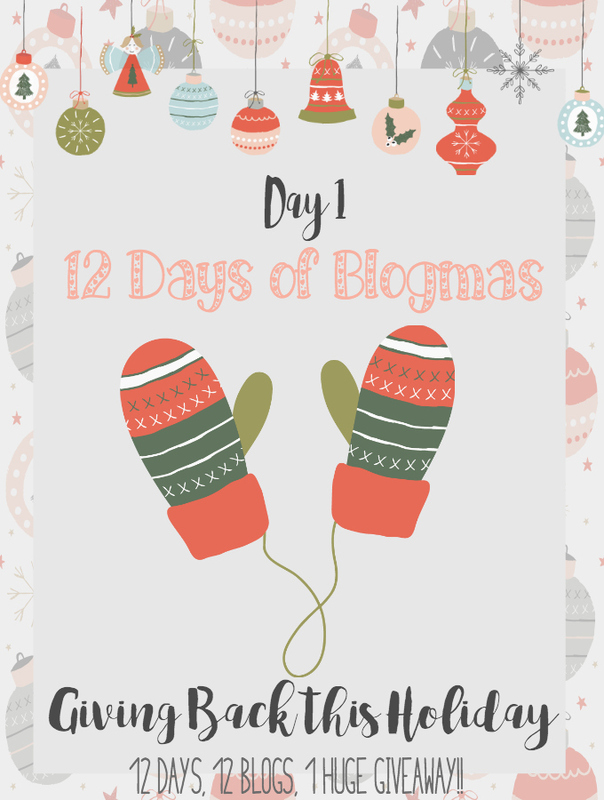 Welcome to the first day of BLOGMAS! Head over to this intro post to find out exactly what Blogmas is if you aren’t sure. Otherwise, welcome! The holidays are all about giving back. My favorite part about the holiday season is giving to people and seeing their faces light up. Today, we are talking about all the ways showing kindness this holiday season. Sometimes, the holidays are the best times for people and sometimes they are the hardest. It doesn’t hurt to give a little to others, it could end up meaning a whole lot to them! Pay for the person’s coffee behind you. I have had this done for me before and I have also been the giver as well. It is such a small gesture, but something that can easily show so much kindness to whoever happens to be behind you in line. They could be having a terrible day or a tough holiday season and you showing that one small act of kindness might turn their entire day around. Make it a point to save your change. Give those extra dollars and cents to the Santa’s that stand outside every store with those red buckets. Share some spare change with the homeless person sitting outside in the cold. Even if you don’t typically give money to people on the street, just that little extra during this time could give them a warm meal or give them a chance to find some place out of the cold to stay. This is also an excellent way to teach our children about gratitude and being thankful this season. Volunteer to be the airport shuttle for friends and or acquaintances. Airport parking is a nightmare and it can be so expensive. If you know someone is getting ready to leave over the holidays, offer to drive them to the airport so that they don’t have to leave their car and they can save some money for their holiday trip. Are you traveling this season? Here are my tips for traveling with kids. Work with your church, community group, or local business to put packages together for families who are struggling during this time. There are so many people and families out there that can’t afford to give their families what they wish they could during Christmas. While Christmas is not about gifts alone, it is so nice to be able to shower these families with gifts, stuffed stockings and a Christmas dinner so that they don’t have to worry about spending those few dollars they have trying to give their family a decent Christmas. I remember one year right after my dad had passed away that someone nominated my family for a Christmas Wish program on a radio station. My mom was struggling with 7 kids at home and even more out of the house. I will always remember that day when they showed up on our doorstep with a bunch of gifts that, as little kids, we would’ve never dreamed of having during that time. All it will take is a little of your time to really share an amazing gift with those who are less fortunate. This giveaway is huge! We have teamed up with a bunch of fabulous companies to bring you all this Blogmas giveaway, right in time for Christmas. There is even more then what is pictured below! The list below is all of the prizes, not to mention the $150 in PayPal cash that we are adding to it! 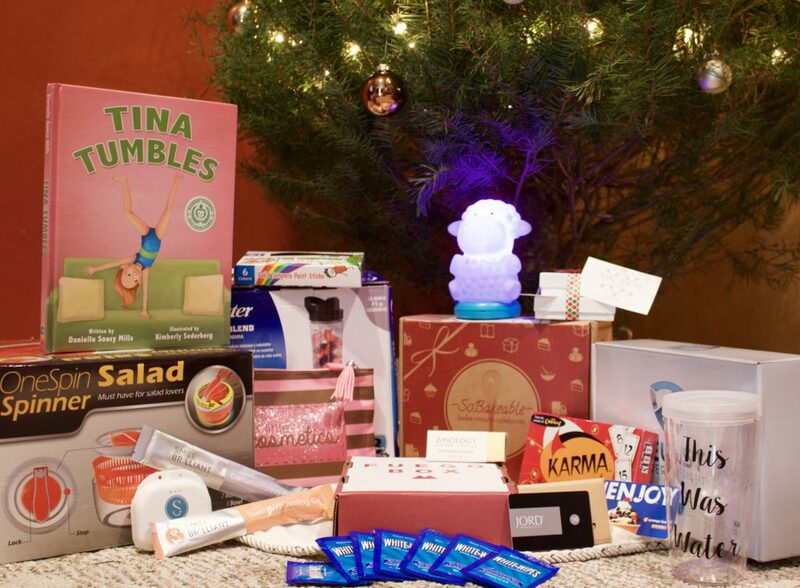 Such a great prize pack to win right before the holidays. How do you give back during the holidays? Check out more of our Blogmas bloggers and how they are giving back this season. I love paying for the coffee behind me! I make little notes that say “Merry Christmas, your coffee is on me! God Bless you and your family this holiday season!” 🙂 We got one once when someone payed for our mcdonalds and I thought it was so cute! Lauren recently posted…Find Your Perfect Scent With Pinrose! I give back in little ways paying forward like Lauren, getting an extra meal when eating out and giving it to someone homeless, giving to the food bank and food drives…..
Omg I love the idea of making cards for those who typically don’t get appreciated! I want to try this!! We do the Operation Christmas child boxes through my daughters school and also through our church each year. It is a wonderful lesson for Haydan as she sees that we are buying toothbrushes, hair combs, and small toys and she understands how fortunate she is. I think these are all great lessons for children. It embeds into their heads how lucky they are and how important it is to give back. I love these ideas Joanna! I especially love doing the Christmas cards to people who aren’t appreciated. We’ll be going downtown and distributing cards with candy canes and coffee cards to the homeless this year. Thank you so much for sharing some fresh ideas. Love this so much – pinning! Jennifer | The Deliberate Mom recently posted…The Deliberate Dad? A Guest Post! So many great ideas here! I love the coffee one! I’ve been on both sides of that one as well. It always make my day! We just made a ton of cookies yesterday so now I get to figure out who were going to give them to. 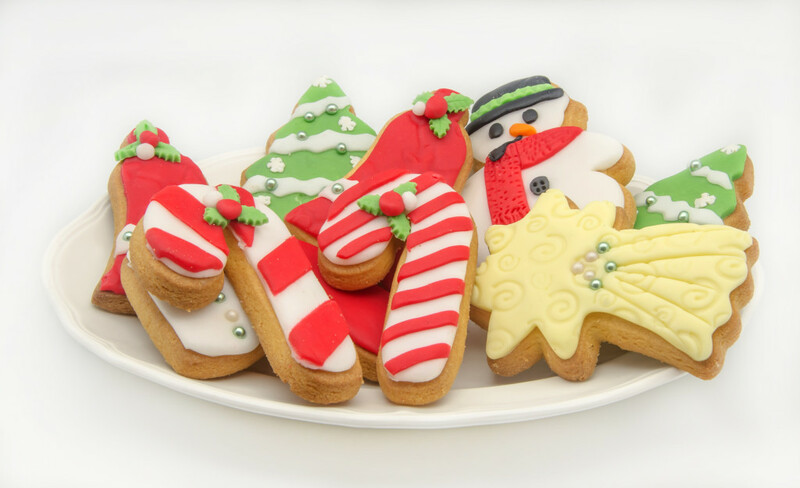 Tarynn Playle recently posted…Christmas Cookie Exchange! You have some wonderful ideas for spreading the true meaning of the holiday season. We will be passing out cookies and hygiene kits to the homeless this year. These are such nice ideas, and a few of them don’t even take much thought or effort. Just simply be kind, and remember that there are lots of people running around, trying to get everything done just like you are. These are such nice ways to pause and remember the meaning behind the holiday season. Thanks for sharing! Oh, we love baking cookies for our neighbors! It’s been a tradition! I love these ideas. It is so easy to get caught up in the hustle that we forget to give back. These are entirely doable. Thank you for the inspiration!!! We give back with service for the elderly all year long. When I bake anything I always double the recipe to give some away to neighbors and shelters etc. Really wish people would do this all year long not just in December. LOVE the idea of having kids make Christmas cards. I was going to deliver some hand-made cards (or scribbles from my son to our local nursing home. Great tips! I love this! I am always looking for ways to teach my kids about giving and not just getting. THanks! We work with community groups, benefiting the library for all readers and a no-kill shelter. Thank you for this great giveaway! These are such FABULOUS ideas – pinning this for sure. Your mega Giveaway is amazing – hope I win! I love that you are encouraging giving back during the holidays. Kindness is always in style and I wish more people believed. Didn’t think about the airport shuttle but that is a fab idea! This is so great! It’s so easy to get caught up in ourselves and this is a way to focus on others this season! Great share! These are all such good ideas! It’s really important to spread kindness over the holidays to help everyone have cheer, even those going through a tough time. What a great giveaway! SO many fun goodies there! Love this! I’m all about kindness – especially this time of year! I totally give all my change to Salvation Army bell ringers everywhere we go! I love to have my daughter put the money in! I love this! We all have good intentions to be kind throughout the year but this time of year reminds you to try a little harder. These are great suggestions! What a fabulous list of ways to give back! I would never have thought about the shuttle! What a brilliant idea during this time of year! 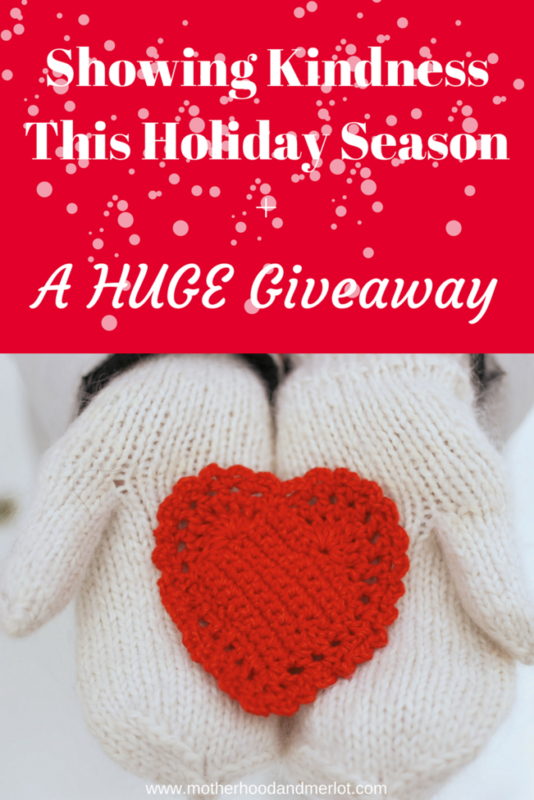 What a great giveaway and I love your list of ways to give back! I’ve been brainstorming ways to have my toddler help and I think we are going to donate a bunch of older toys to other children that can use them. He’s also going to pick out a toy for toys for tots donations. These are some great ideas to show kindness and love this holiday season (and always!). I what a fun giveaway with so many items, awesome! I LOVE paying it forward! And this is an AMAZING giveaway! These are fantastic tips. I love the idea of being a shuttle to and from the airport. I think someone would really appreciate that. I know I would. I love your idea of having the kids give holiday cards to people who are underappreciated. It could really brighten their day!